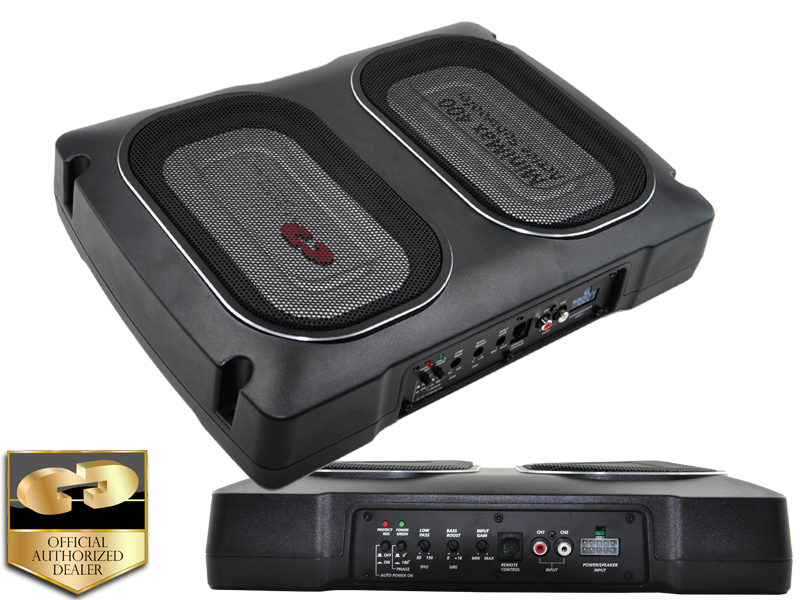 Smooth tight fast bass response even at highest sound levels. Understanding how the basic design differences influence the new CDT Audio MiniMax 400 active subwoofers system compare with ordinary competition system. This will enable you and your installer to design a sound system both advancing your listening preferences and exceeding your listening expectations. 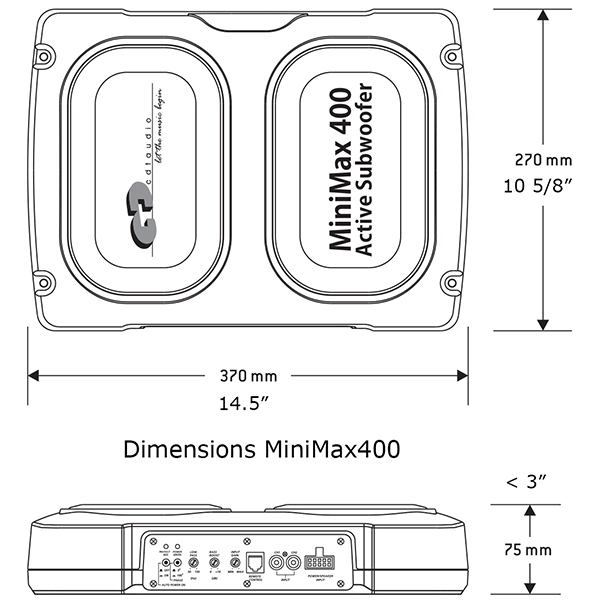 The CDT Audio MiniMax400 active subwoofer system is designed for both audiophile and SPL users. The MiniMax 400 system is built for audiophile listeners who sometimes like to turn the volume up on some heavy rock and metal, but still maintain a feel of smooth, tight and fast bass response. These engineering masterpieces simultaneously deal with the need to move the large amounts of air necessary to overcome the 70+ dB of bass masking road noise in the moving automotive interior. At the same time, they accurately respond to the delicate changes in the harmonic structure of the music. By taking the natural sound, a mature approach, and designing for tight, clean, musically oriented bass, the CDT Audio MiniMax 400 active subwoofer system is proof positive that bass in the car doesn’t have to be loud, boomy, or sloppy. amplifier produces strong bass that will add depth and punch to any type of music. I purchased 2 thinking I would need them in the Dual Cab but was highly impressed with just one. The second unit I installed in my dad’s Nissan Patrol Single cab Ute over Easter break (part of a 4000KM road trip with the New MiniMax400) that has very limited space and this also outperforms any other options available here in Australia. The delivery time was amazingly fast and customer service / communications was second to none, keeping me up to date with the order status. Installation and setup was a breeze with the whole kit as supplied. My Past experience with CDT was a brand I had never heard of back in 2001. when I purchased a set of CL61 components which I can add was the only trouble free stereo components. From the last 16 years these still out perform anything else I have owned, and at one stage I was driving them with a 200WRMS sub amp when the rest of the system was stolen and they were still faultless. Hopefully will get this project car back on the road soon and looking to get the HD-842 or HD-821LE to replace the old CL if they will fit.